Yoga is about falling in love. Falling in love with my body. Falling in love with my flaws. Falling in love with my inner strength. Falling in love with myself. Falling in love with this crazy beautiful thing we call life. Every moment, every movement, every breath, should be only about how it feels to you. Yoga is about listening to our bodies with complete compassion, love and grace in order to understand who we are. 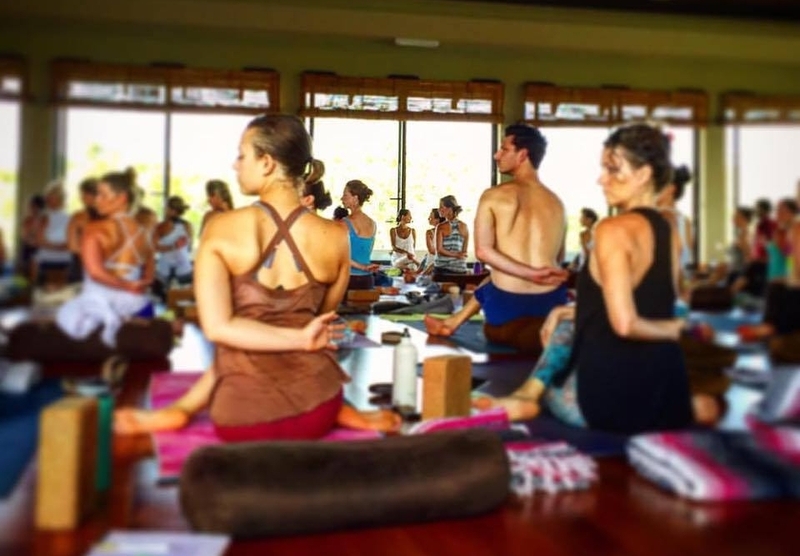 Yoga is an opportunity to step into the power of ourselves, to deepen our connection with Prana and breath, and to release ourselves into a space of complete freedom. A wise teacher once told me that every day, before you practice, always remember that life is beautiful and life is a gift. The vision I have for my students is to use the space we create for self-discovery and healing so that they may always be steeped in the experience and creation of the beauty that is life. Nikki discovered Yoga through Bikram at a studio around the corner from her apartment in Colorado. She initially went because she loved the heat and the physical challenge. Over time, she began to notice so many changes beyond just her physical body. She began to unwind more and more with each Yoga class and discovered something she didn’t think would be possible. Having anxiety and asthma much of her life, she never thought that anything could calm her mind and allow her to take deeper breaths. When she moved back to California, she found her true love with more flow based styles and the gentler styles of Yoga. Nikki completed her initial 200-hour certification through Yogasource in Los Gatos. She then journeyed into the teachings of Yin Yoga, meditation, Restorative, Medical Qigong, and Kundalini yoga. She completed a second 200-hour energetic flow training under her mentor, Jillian Glikbarg, and went on to assist Jillian in the same training less than a year later. She is now continuing her studies with Yogarupa Rod Stryker of ParaYoga. Nikki believes that Yoga truly is for everyone. Every day you step on your mat is different than the next. Yoga is a place to unwind and let go in order to discover your true self. The more you learn about yourself and tap into the divine light inside us all, the brighter you become each and every day. Fostering a strong community of like minded human beings and creating a healthier and more vibrant way to do business.